Chelsea have reportedly given young defender Wallace the green light to complete a loan move to Gremio this week, according to the Daily Star. The 21-year-old had initially been on loan with Italian side Carpi this season, but has been allowed to cut that short to head back to his homeland on an 18-month deal. Chelsea have reportedly agreed a partnership with the Brazilian side and will continue to pay his wages for the length of the loan. Gremio’s Sporting Director confirmed that the move was close by saying: “We have a lot of ongoing negotiations,” Costa said. “Sometimes you [the press] discover, others have managed to maintain secrecy. 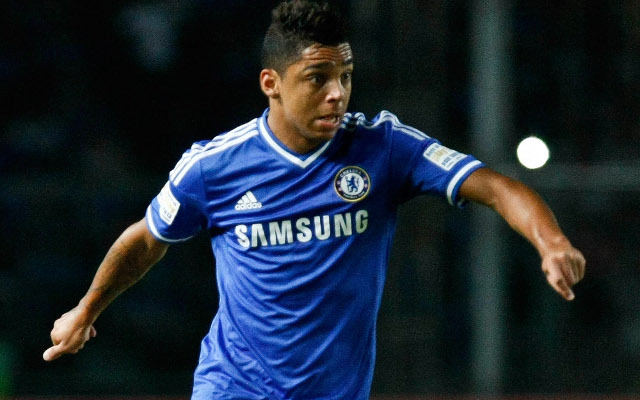 Since signing for the Blues in January 2013, Wallace has yet to feature for the Blues due to problems obtaining a work permit, and has spent time on loan with the likes of Inter Milan, Vitesse Arnhem and most recently Carpi.